With just a few sprays, your drywall, wood, or concrete stains will go away. 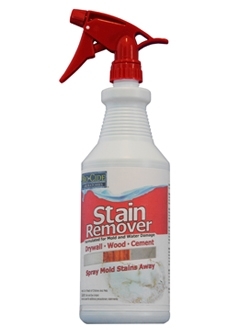 This one of a kind product will remove almost any water or mold stain in just 10 minutes! Reduce the material cost and labor of any job involving drywall water stains and water damage.